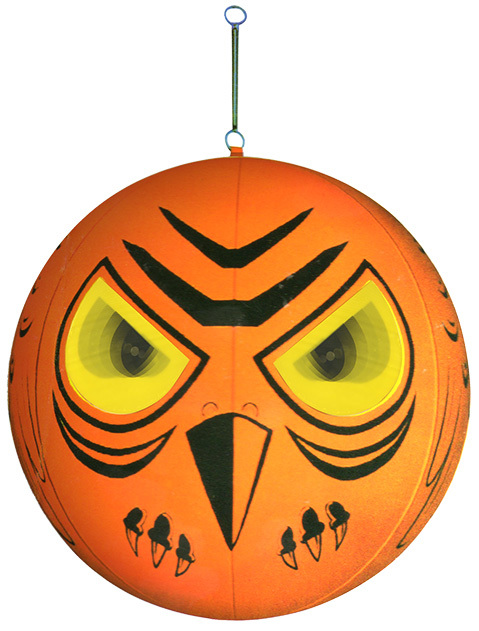 Terror Eyes balloons are similar to Eye Spot Balloons but are larger around and incorporate 3-dimensional holographic eyes to frighten birds. Representing a constant watchful predator, the 3-D eyes appear to move forward and sideways, following birds as they fly by. Orange color with yellow and black markings. Ideal for bird control indoors and outdoors. Terror Eyes are not for use with helium.